SARATOGA SPRINGS — Following a highly successful summer event series in 2017, Skidmore College is pleased to announce the Stewart’s Signature Series 2018, a lineup of world-class music and arts performances to be held this spring and summer on the Skidmore campus. The Stewart’s Signature Series performances are made possible through a generous grant from Stewart’s Shops and the Dake family. “Saratoga Springs is blessed with a wide array of live interactive entertainment, making our community truly unique in a world where so many are limiting their attention to their screens. We are proud to support the Stewart’s Signature Series at Skidmore, which will bring exceptional performers to our community while reinforcing Skidmore as a cultural resource for everyone,” said Susan Law Dake, Skidmore Class of ’71 and president of the Stewart’s Foundation. “Stewart’s and the Dake family are proud to support Skidmore’s contribution to Saratoga’s arts community. Saratoga’s eclectic mix of live events from horse racing and polo, theater and opera, to dance and music of all kinds makes our city unique, and Stewart’s Signature Series will be a major part of the summer experience in Saratoga Springs this year,” said William (Bill) Dake, chairman of Stewarts Shops Inc.
Friday, June 22 at 7:30 p.m.
SITI Company of New York City presents Chess Match #5. Company members Will Bond and Ellen Lauren star in this theatrical homage to avant garde composer John Cage. Cage’s own documented words are shaped into a conversation taking place in a single night over a chess game. 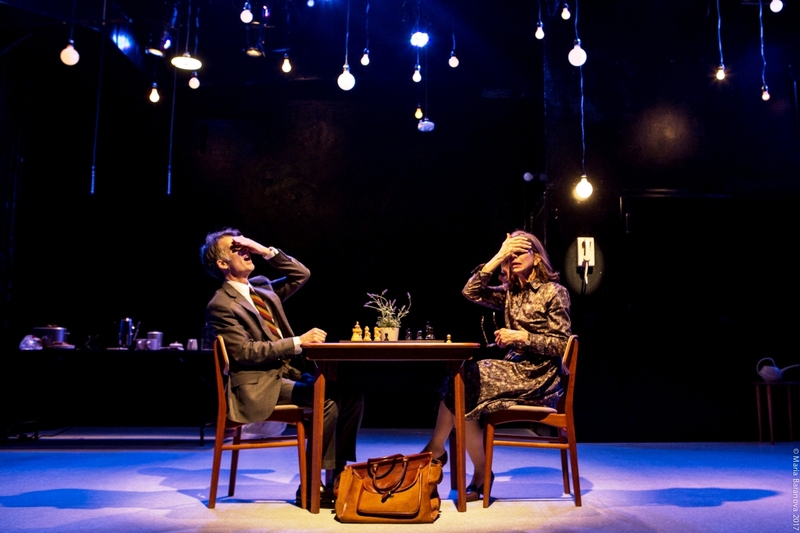 The actors brew coffee, make toast, play chess and engage in several other acts of meaningless stage business while debating the purpose, shape and proper interpretation of music and art. It’s a thought-provoking Catch-22 that keeps you on the hook. 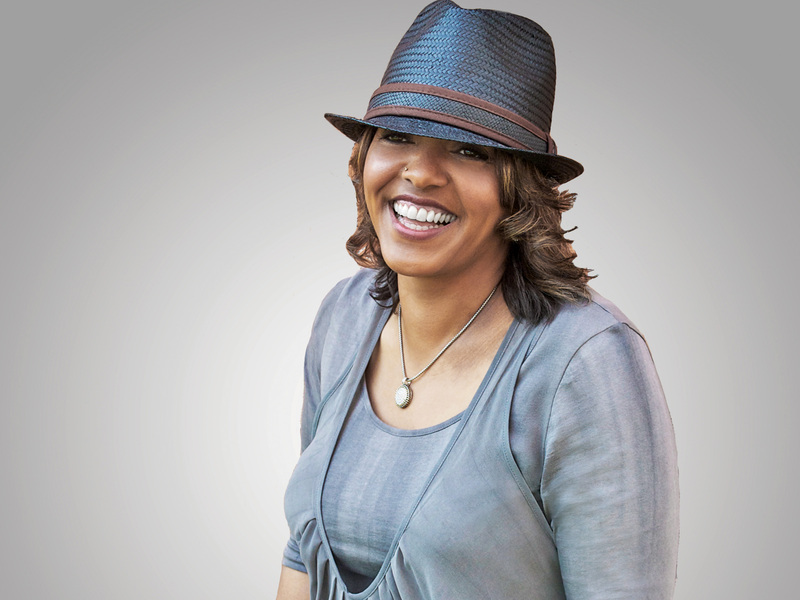 Tuesday, June 26 at 8 p.m.
A concert by Terri Lyne Carrington and her quartet. Carrington is a three-time Grammy winner who made history as the first woman to win a Grammy Award for Best Jazz Instrumental Album in 2013. 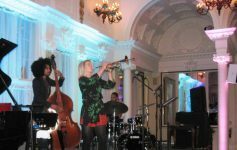 In the male-dominated jazz genre, this veteran drummer has been happily accepted as one of the guys and has forged a strong touring career pushing improvisational and conceptual boundaries. Carrington reached legendary status by working as a side woman for greats including George Duke and Herbie Hancock, and she went on to cement her legend by making a series of highly regarded albums that explored the history of jazz or dug deeply into those areas where jazz merged with other forms of popular music. 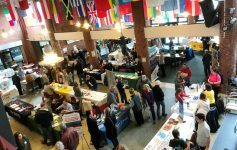 Saturday, July 7 at 7 p.m.
Skidmore once again is the site of the internationally acclaimed New York State Summer Writers Institute, which brings public readings to the stage five nights a week during July. This year, the institute will present a panel discussion titled “Can Art Be ‘Offensive’?” with Caryl Phillips, Tom Healy, Elizabeth Benedict and April Bernard, four of the institute’s most popular visiting writers. In addition to the Stewart’s Signature Series, Skidmore College’s summer programs offer many additional events during 12 weeks of world-class dance, music, theater, film, studio art and literary readings by internationally renowned artists-in-residence. Programs provide extraordinary performances and unique opportunities offering an intimate look into the creative process. For tickets to these events, visitthis page. For additional information, visit Skidmore’s Summer Event Page, or call 518-580-5321. Next Article Who Are the Ten Most Powerful People in the World? 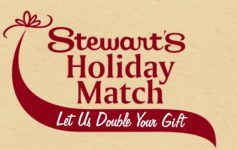 Stewart’s Holiday Match Sets New Record!